Roompot Kustpark Egmond aan Zee is the ideal holiday park for hiking, cycling and exploring the Dutch coast. Can I check in earlier than is stated? Yes, this is possible. However, you cannot enter your accommodation and the park does not provide luggage storage. What are the opening times of the reception? The reception is open from until . Does the accommodation have its own parking space? None of the accommodations have their own parking space. Are pets allowed in the accommodation? Pets are allowed in some of the accommodations. Are there smoke free accommodations available? No, the park is non-smoking. Are the accommodations suitable for disabled people? There are unfortunately no accommodations suitable for disabled people. Can I state a preference for the location of the accommodation? No, you can not specify a preference for the location of the room. Are there any accommodations suitable for babies? It is possible for babies to stay in some of the accommodations. Does the park have a subtropical swimming pool? No, the park does not have a subtropical swimming paradise. Are there any possibilities for fishing at the park? No. Is there (wireless) Internet available at the park? Yes, there is wifi available in the park. Does the park have any spa or wellness facilities, such as a sauna? The park does not have spa facilities. How does the booking work? 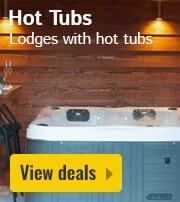 Have you found a holiday cottage or other accommodation that meets your needs? You can book either online or over the telephone. You can call us on: +31 23-3024901 (10 ct. p/m). Our Service Desk can be reached by phone at the following times: Monday - Friday (9:00 to 22:00), Saturday (10:00 to 18:00) and Sunday (10:00 to 18:00) (Central European Time, GMT +1). Would you like to book over the internet? 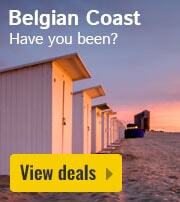 Choose the holiday park and the type of accommodation you want, specify the dates, and click on book. Follow these easy steps and your booking will soon be complete. Half an hour after the booking (both over the Internet and by telephone), an e-mail will be sent to you for confirmation. Here, you will find your booking number. * the booking number (if known). Is it possible to change a booking after it's been made? To change a booking (e.g. to another date), please contact our Service Desk on +31 23-3024901 (10 ct. p/m). Changes are always upon request and will only be confirmed if the holiday park is in agreement. HolidayParkSpecials charges no change fees. However, it may be that the park charges an additional fee (depending on the type of change). If the park does charge change fees, the costs are obviously always discussed with you. How can I cancel my booking? The booking can be cancelled using a link in the confirmation e-mail. If you no longer have the e-mail, please contact our Service Desk by calling +31 23-3024901 (10 ct. p/m). Please note that in most cases, the holiday park will charge a cancellation fee. The amount of the fee depends on how late you cancel the booking. For this reason, we always recommend cancellation insurance. We also advise you to contact our Service Desk by telephone to ask whether the booking can be moved to a different date. What is the difference between cancellation conditions and cancellation insurance? All holiday parks have cancellation conditions and these vary per park. In these conditions, it is stated whether the holiday park will charge a cancellation fee. Cancellation insurance is insurance against financial loss resulting from the cancellation of a booking. HolidayparkSpecials does not offer a cancellation insurance at the moment. You are free to arrange one yourself with an external party. Prices and availability of accommodation may vary daily; why is that? The prices of the selected accommodation are made according to flexible rates. 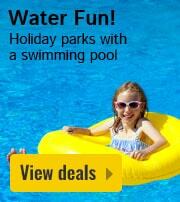 Holiday parks can change prices and availibility 24 hours per day on HolidayParkSpecials.co.uk. Depending on availability, the parks can still apply a price change to the current rate. The current prices and availability can be found on the information pages of the relevant holiday parks. For more information, please contact our Service Desk on +31 23-3024901 (10 ct. p/m). 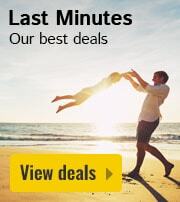 How can I get in touch with HolidayParkSpecials.co.uk? If you have any questions, do not hesitate to contact our Service Desk on +31 23-3024901 (10ct. p/m). We are available at the following times: Monday - Friday (9:00 to 22:00), Saturday (10:00 to 18:00) and Sunday (10:00 to 18:00) (Central European Time, GMT +1). Can I book accommodation with a special preference/requirement? It is always possible to pass on your special preferences or requests to the holiday park. For example, you may require disabled facilities, or you may prefer a smoke/pet free accommodation. 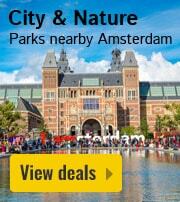 The possibilities vary per holiday park and accommodation type. We therefore advise you to contact our Service Desk regarding your special preferences or requirements on +31 23-3024901 (10 ct. / Min) or fill out the contact form. Our employees can thus examine the possibilities so that we can meet your specific needs. When do I have to pay for my accommodation costs? The payment conditions vary by park. For more information about the payment, you can contact the booked park directly. In most cases, you will receive an invoice from the holiday park within a few days of making your booking. If there is sufficient time, you should meet the transaction needs before your stay in the holiday park. The park can also request a deposit. The invoice specifies the required payment method(s). For more information about the payment, you can contact the holiday park directly. Can I bring my pet with me? Each holiday park has its own policies regarding pets. Some parks do not allow pets at all, and in other cases it varies according to the type of accommodation. 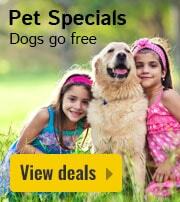 In most cases, there is an additional fee for bringing a pet. The costs can be found on the information page of the relevant holiday park. Are you bringing a pet with you? Always report it when making your booking to avoid problems (or additional costs). For more information about pet access to the holiday park of your choice, please contact our Service Desk on +31 23-3024901 (10 ct. p/m) or fill out the contact form. 50% of the total booking amount is due on or before 15 days after booking. 100% of the total booking amount is due on or before 56 days before arrival. Booking deposit: €65.00 per accommodation. For questions about making a booking or any specific requests, please see our FAQs. Is your question not there, and would you like to make or amend a booking? Fill in our contact form and we will be in touch with you within 24 hours. We also appreciate any comments or feedback, for which you can also use the contact form.